Cirelli, Julia V (Castaldi), 101, of Cranston, RI died peacefully on January 29, 2019. Born in West Warwick on January 23 1918, she was the daughter of the late Luigi and Giovannina (Ionata) Castaldi. She was the beloved mother of Dr Virginia Rockhill and her husband Morgan of N. Smithfield. She was the beloved grandmother of Joseph F. Luca and his wife Kimberly of Cumberland, and Richard J. (Luca) Rockhill of Palm Springs, Calif. She was the proud great-grandmother to Isabella Ann Luca and Elizabeth Julia Luca of Cumberland. She leaves a sister, Anita DiCarlo of Warwick. 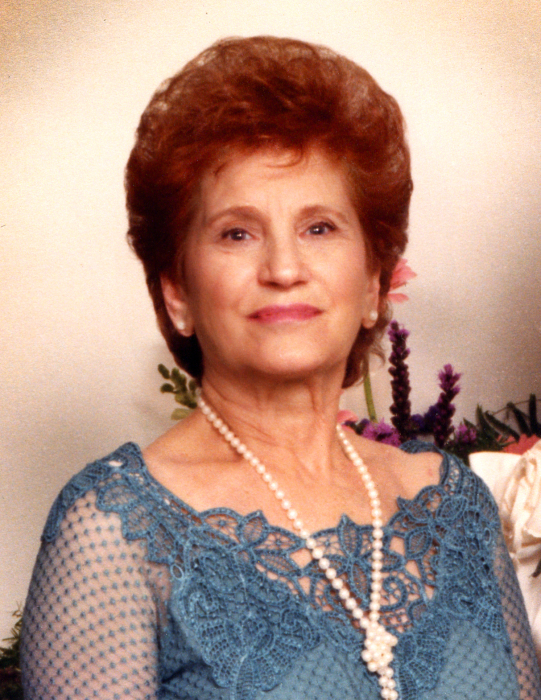 She was the mother of the late Julie Frances Cirelli. She was also the sister of the late Eleanor Pilla and Antonetta Corrente. Julia resided in Garden City, Cranston for over 30 years. During her career she worked as a professional bookkeeper in the jewelry industry, first in her own business, Cordell Mfg, and later at JD Mfg. in Providence, RI. Julia served multiple terms as president of her condominium association and continued to serve on the board for several years. After retiring, she moved to Pittsburg, NH for several years before returning to Rhode Island. Julia will lovingly be remembered for her advice, wisdom, and generosity, but most importantly her love of family and heritage. Her funeral will be held on Friday February 1, 2019, calling hours will be 8 to 10:15 A.M. in the A.A. Mariani & Son Funeral Home, 200 Hawkins St. Providence, followed by a Mass of Christian Burial at 11 AM in St. Mary Church, 1525 Cranston St. Cranston. Burial will be in St. Ann Cemetery, Cranston.